Admission is free and all are welcome. Booking essential. To book a seat email us at [email protected] or fax 01603 625011 up to two days before the lecture stating your name, number of seats required and a contact number. The lecture will be held at the Weston Room, Cathedral Hostry, Norwich NR1 4DH. The Third Thursday Lecture series is funded by the Great Britain Sasakawa Foundation, Yakult and the Robert and Lisa Sainsbury Charitable Trust. In 1860, Britons consumed green and black teas, while Americans overwhelmingly preferred green teas—all of which were imported almost exclusively from China. 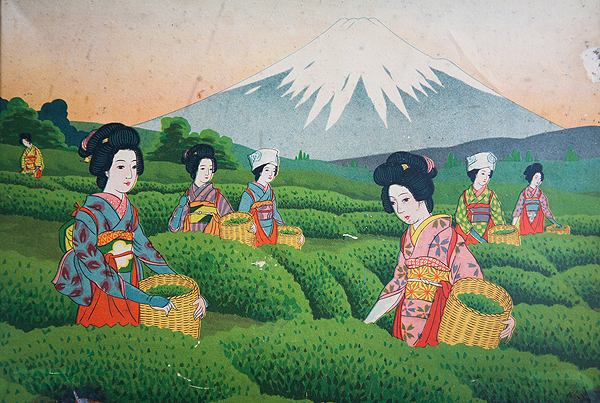 For their part, most Japanese drank low grade bancha, a domestically produced green tea. Just two decades later, British consumers had switched to black teas, produced in India and Ceylon, while Americans preferred green teas imported not from China but from Japan. Yet by the 1930s, the United States had also become a black tea consuming nation, while Japanese drank more sencha, a mid- grade, green tea that remains the most widely consumed variety in Japan today. The presentation will explain how marketing, as well as national/imperial trade agendas and racial stereotypes, helped shape tea consumption patterns in the three countries since the mid-nineteenth century. 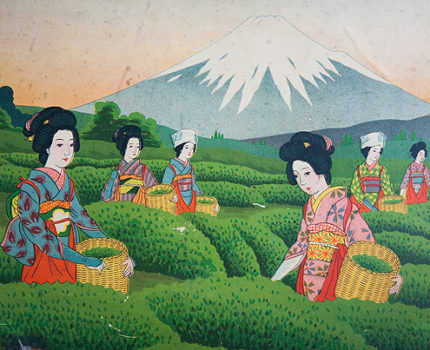 It will show how rising concerns about the “dangers” of Chinese green tea spurred British consumption of black teas, while an influx of inexpensive Japanese greens bolstered US green tea consumption from the 1870s. Beginning in the 1890s, British firms mounted a marketing campaign, again stressing the “dangers” of green tea, which in a few decades helped India and Ceylon black teas to dominate the US market. Facing a glut because of shrinking US demand, Japanese producers shifted attention to domestic and imperial markets, promoting the sale of previously exported sencha green tea, especially for its purported high content of Vitamin C.
Overall the presentation will suggest how tea offers a means to consider the malleability of cultures of consumption, and by implication, national identities inherent in them. Robert Hellyer is the Associate Professor of History at Wake Forest University, North Carolina. A historian of early modern and modern Japan, Robert Hellyer served on the faculty of the University of Tokyo, taught at Allegheny College, and was a postdoctoral fellow at the Reischauer Institute of Japanese Studies at Harvard before coming to Wake Forest in 2005. His previous research on Edo period foreign relations was presented in several journal articles and book chapters, as well as in a monograph, Defining Engagement: Japan and Global Contexts, 1640-1868 (Harvard University Asia Center, 2009). He has also published on the socio-economic integration of the Pacific Ocean in the eighteenth and nineteenth centuries. He is currently writing a transnational history of Japan’s export of green tea to the United States from circa 1850 to 1950, a project for which he received Smithsonian, Japan Foundation, and National Endowment for the Humanities fellowships to support research in Japan and the United States.